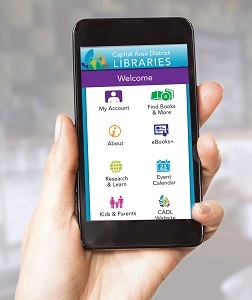 Our app puts the library in your pocket. Search our catalog and place holds as soon as you hear that recommendation or spot your next read. Keep tabs on your account—renew your items and manage holds on the go. Stop typing your card number over and over! A digital library card, always as close as your phone. A special section for kids & parents—raise a reader!